I'm such a sad person: I'll basically enter any giveaway or contest that I think I have a remote chance of winning (and sometimes do - see today's post on partying with Perez Hilton and my £1 Jonathan Saunders purchase which friends and family are sick of hearing about by now) and take advantage of any and all freebie offers. Gross, huh? 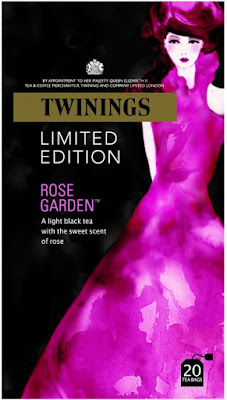 A little while ago, Twinings had an offer on their website (which they're still doing, if you're interested) for you to sample two teas of your choice, on them. So naturally, I filled in the appropriate fields and had two samples sent to me, one of their white tea and the other of Rose Garden, which is essentially Lady Grey with a hint of rose. So lovely. I usually dislike Earl Grey because of bad memories associated with that tea (not going to go into detail), but the rose twist was wonderfully aromatic and sent all the bad feelings away. Shame I can't find it in any supermarkets. 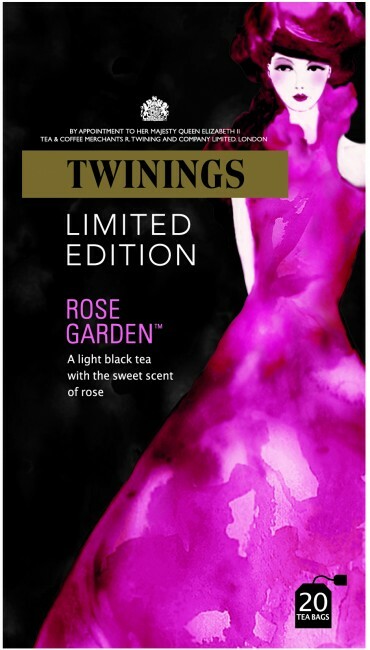 If you stumble upon it, do try it - it's literally like drinking a rose, in tea form. I love the packaging. How gorgeous! I know, too bad it's a Limited Edition! Why ... why ... why??? I might just write to them and ask them to stock it regularly.